When Dr. Amy was younger she had an injury that resulted in her seeing a couple of doctors, none of whom were able to help her. She finally saw a chiropractor who gave her the care she needed. 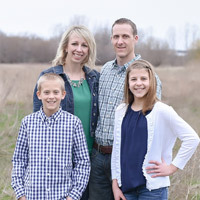 Having grown up on a farm, Dr. Amy enjoys spending family time outdoors with her husband Pete and their two children. They like to travel, hike and go boating. 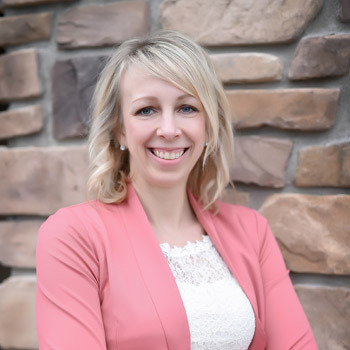 She also plays various sports including golf, goes road biking, does yoga, works out at Snap Fitness and enjoys water skiing in the summer on the local Kenosha County lakes. Both of their children play for the Wisconsin Juniors Volleyball Club, for which Dr. Amy is the team doctor. She played college volleyball for all four years. In addition to staying active physically, Dr. Amy also stays active by giving back. She does a lot of philanthropic work for the community and donates to many charities. If you want to experience peak health and wellness, book an appointment with Dr. Amy!